The beach can be a great resource to run along and use for training whilst on holiday or if you live near the coast and this is exactly what some of the worlds best have done. Back in the 1980s Britain had three of the world’s best three middle distance runners all at one; Seb Coe, Steve Ovett and Steve Cram. Steve Cram as originally from Jarrow in the North of England, near the coast. 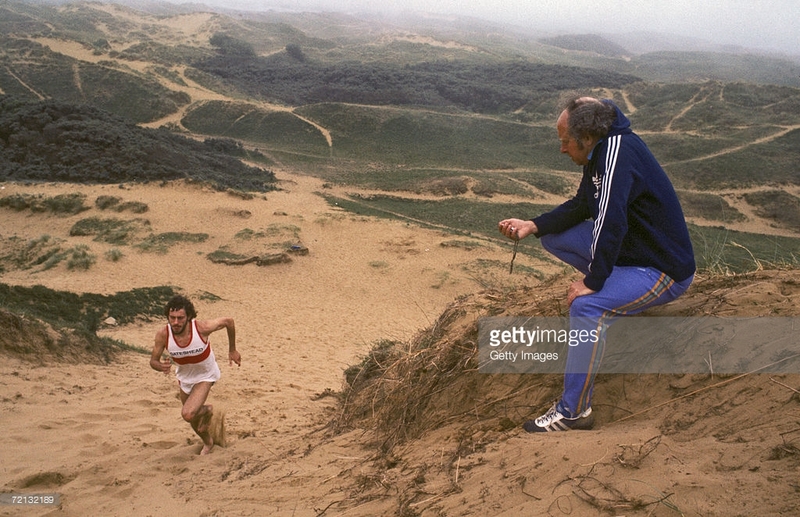 Here it was well known that training on the beach was a great resource to making him into a World Record holder and went on to run some incredible times over 1500m and 1 Mile and still holds the British record over the distance of 3:46.32. 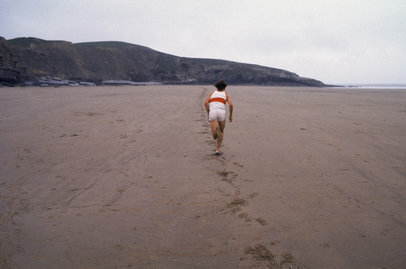 This was also the same for Steve Ovett who used the beaches in Wales very effectively. There are miles and miles of long flat stretches of beach; icy cold seas (especially in England) and stead sand dunes and cliff faces for hill training. The coast can be a great place to use as training and making yourself a better all round runner. Recently I have been able to try this out for myself along the vast coast of Cornwall. Whilst the weather has been good, by the standard of Britain, the beaches have been busy and the sand has been dry and therefore not too soggy that you sink with each step. Running on the beach in shoes is very hard I have found. Sand goes everywhere and the wetter sand where the sea has recently been will often soak into your shoes making them heavy and unpleasant to run in. Therefore, I have found that adopting the Kenyan style approach of running barefoot is by far the best when running along the sand. This is out of personal choice but if the beach which you are running along is made up of harder, more compressed sand, then shoes may be more than fine. Running barefoot on the beach is great. The sand is soft and is easy on the feet – unlike the dirt trails which the Kenyans run along – meaning, as long as there are not too many stones, you should easily be able to run without any pain on the soles of your feet. However, the barefoot running craze has brought light to new shoes which act like an outer skin layer which are very good at protecting your feet whilst maintaining the barefoot effect. These barefoot running shoes can be bought from Amazon here. 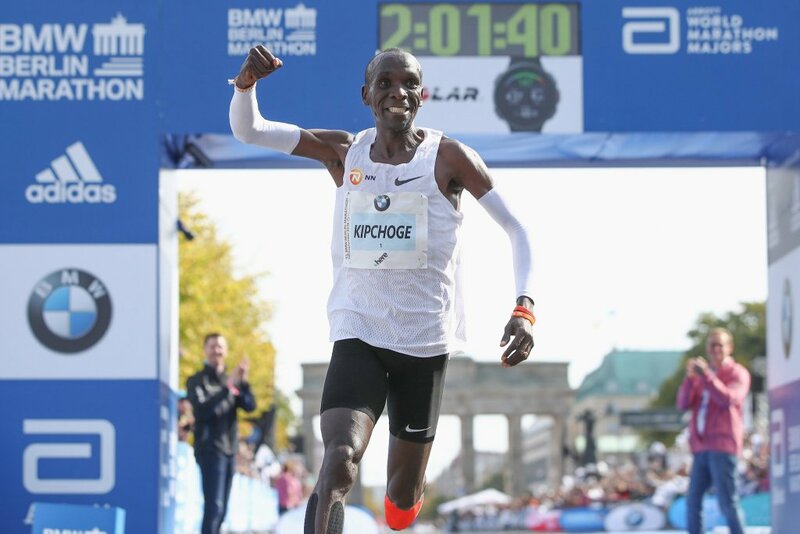 There has been a move in recent years for people to try barefoot/ minimal running shoe style running. There has been a mixed reaction from the experts to whether this is better or worse for you, but I have found that as long as you stick to a midfoot running style and avoid heavily landing on the forefoot then you should have little trouble with calf pain from running along the beach. This is added to also be the soft, forgiving surface which absorbs most of the pressure, rather than relaying it back through your legs. However, with your body sliding all over the place as the sand is an uneven surface, it is much tougher and more tiring running in the sand. But again, on top of this, it does bring other benefit of strengthening internal muscles which would normally not be used. Hill running is a renowned training technique of improving strength in your glutes and hamstrings for extra power and speed. This can be utilised easily when on the beach when there are often large sand dunes and hill paths up the cliffs. Long interval reps are often harder as the hills are not normally too long, but short fast hill sprints are a great way of speed training. The sand under you feet is very much like a slippy surface as it runs away from your feet on each step making the effort harder. It is this resistance offered by the sand and the hill of the sand dunes which makes this training so beneficial, making your leg muscles activate, you knee lift become higher and lots of working of the arms, perfect for middle distance runners. However do watch out for hot sand and blisters from the friction of the sand as it is a new type of running which your feet will not be immune to. Despite there still being little scientific evidence behind ice baths and whether they are a successful training method to help i,prove recovery, may runners have been using them for years to reduce fatigue in the legs. 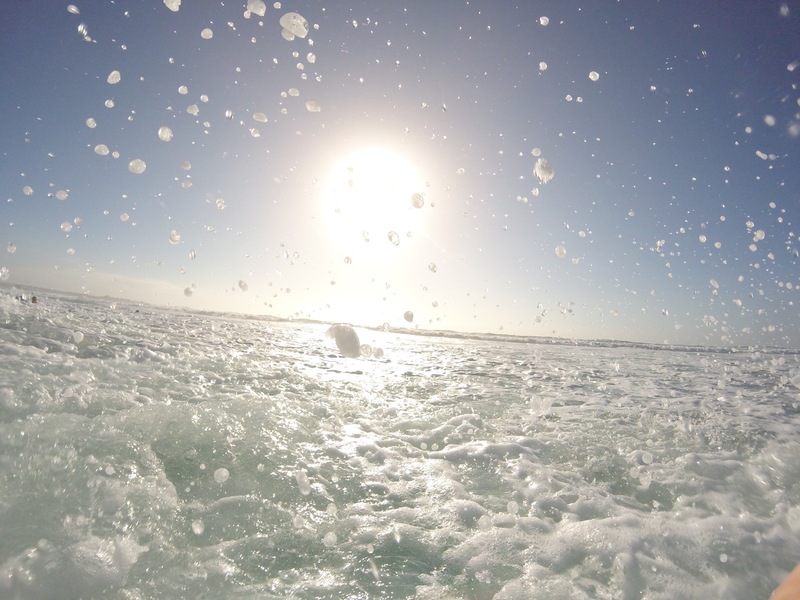 Having to fill a whole bath with ice and cold water after a run can take a while and be quite arduous, therefore if you have been running along the beach then (again only if you’re in the right location such as England) then you have your very own ice bath of the sea. After a run along the beach then a quick jump into the sea will be very beneficial to help cool off and use it as a method of recovery. Although it will be initially very cold and not fun, it should bring much quicker recovery. All of running on the beach, running up sand dunes and using the sea as a form of recovery are great benefits you can use and adapt into your training to help improve your running performance, whether you are on holiday by the coast or love nearby.